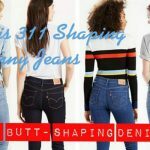 My secret way to shop for your shape for jeans isn’t as complicated as you think, it’s all about you. Well, your body shape actually. Often we walk into a store see a pair of jeans that are bang on trend,( you’ve seen your fav blogger wearing) take them into the dressing room without thinking and then blame ourselves for not fitting into them. You are armed with the knowledge that not every style of jean is going to suit your (*delete where applicable) Curvy, petite, fuller figure, Apple, tall body shape. So as they say, knowledge is power and by knowing this you have eliminated nearly half of those trend led jeans. At this point, you need to read this (have a tape measure handy ). 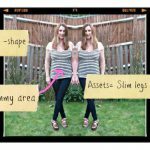 I can’t stress enough how important knowing your URM is when shopping for your shape. The next step is to find out exactly what suits your very own body shape. 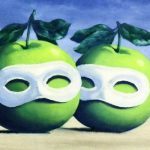 We’re all so different as each body shape can be twinned with the opposite, for instance, a plus-size can also be petite, an apple can also be petite or even tall. Click on “Shopping for your Shape” (you’ll find it at the top of this page), each body shape will drop down. Or click on the link below when you see your body shape and you’ll find my handpicked selection to shop from. 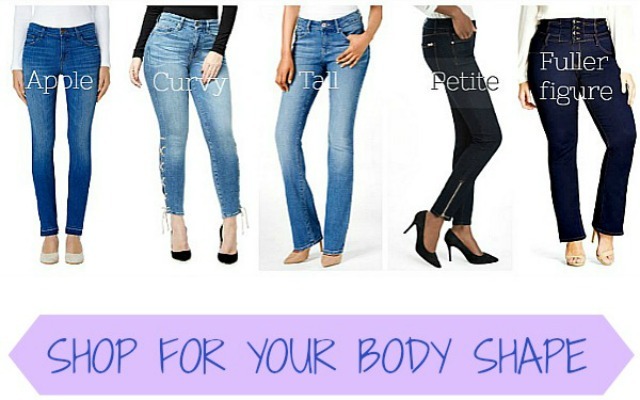 I update the styles of jeans on each body shape regularly so keep coming back! Don’t forget if you need more help then add your comment below. Always great to hear from you.